In 1965, Ralph and his father Al created a business partnership and acquired the automotive business called Danner Collision. They built the business into a very successful operation. Since then, Ralph has been very fortunate to have his two sons, Ralph Jr and Andrew, follow in his footsteps and join the automotive business. Several years ago he turned the business over to his sons. Although not yet ready to retire, Ralph still continues to work there as well. Ralph has been an active member of the P&BA since 1999. He was elected to the Board of Directors in 2008 and has served in numerous capacities. 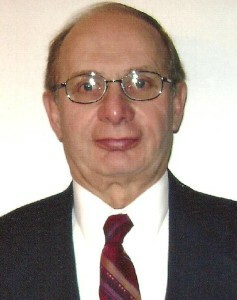 Ralph served as President in 2009 and 2010. He also filled the position of Financial Secretary. Ralph has served on numerous committees including chairman of the Christmas party, the summer stag and has coordinated the efforts for various successful fund raisers. He continues to be a member on the Board. Ralph is also an active member of the Lancaster Lions Club, having served for two years as its President. He also volunteers much of his time at St Phillip the Apostle Church in Cheektowaga.